An independent social enterprise run by two resident Brummies. We aim to give great tours, meet interesting people and support local charities. 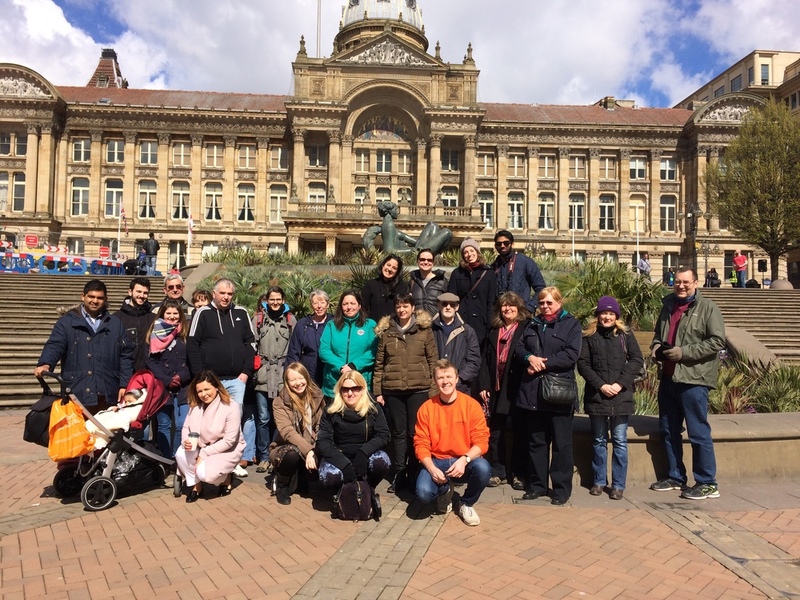 Discover the unique history and culture of England's second city on a fun, friendly and free walking tour. From the birth of heavy metal to the city's rise as the 'workshop of the world' - get an unrivalled insight into one of the UK's most misunderstood cities. Use the calendar to see upcoming tours. No need to book - just turn up and pay as you feel! Covering points of historic, cultural and humorous significance , the tours last around 2 hours and we walk around 1.5 miles. With the help of all our guests, we have raised over £2,000 for local charities since starting on a very rainy day in February 2016. Please notify us in advance if you have mobility requirements or if you are in a group larger than 10. We also offer private tours. Please contact us to see if we can accommodate your request. Rob has lived in Birmingham since he was 2 years old and spent his teenage years exploring the concrete metropolis. He now delights crowds with his passion for music, political history and very cheesy jokes. A schoolteacher in Erdington, Ruby is a proud adoptee of the second city. When not planning lessons and marking books, you can find Ruby watching the brilliant shows and musicals that take place in the city. Please feel free to contact us with any queries. If you are in a group larger than 10 - please get in touch so we can accommodate your request. 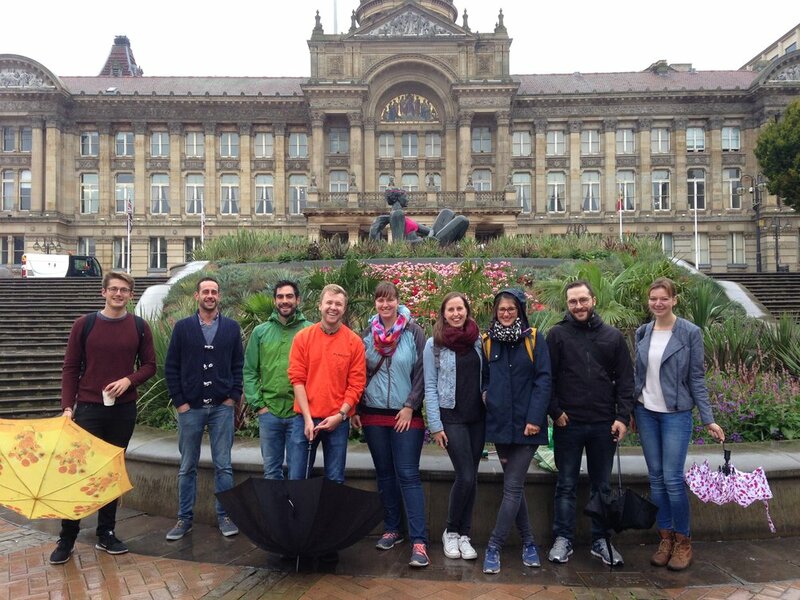 Pictures of England's second city - on and off the tour.